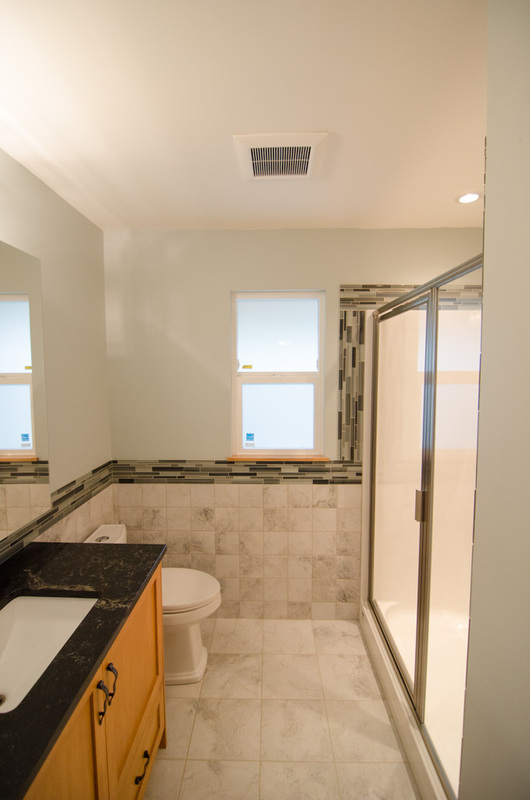 This bathroom was part of a larger two story addition renovation. 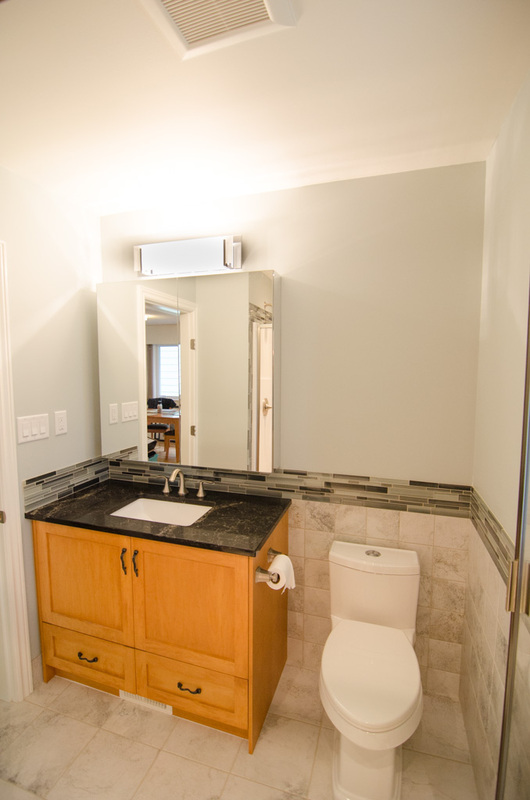 The clients wanted a stylish bathroom while keeping the budget down. As this bathroom for meant for their kids to use, low maintenance materials were chosen. 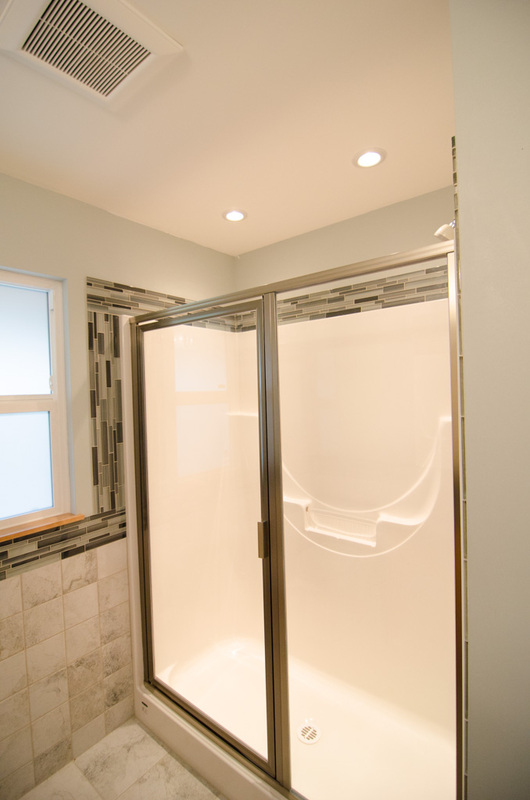 View of shower fibre glass shower stall and tile work. 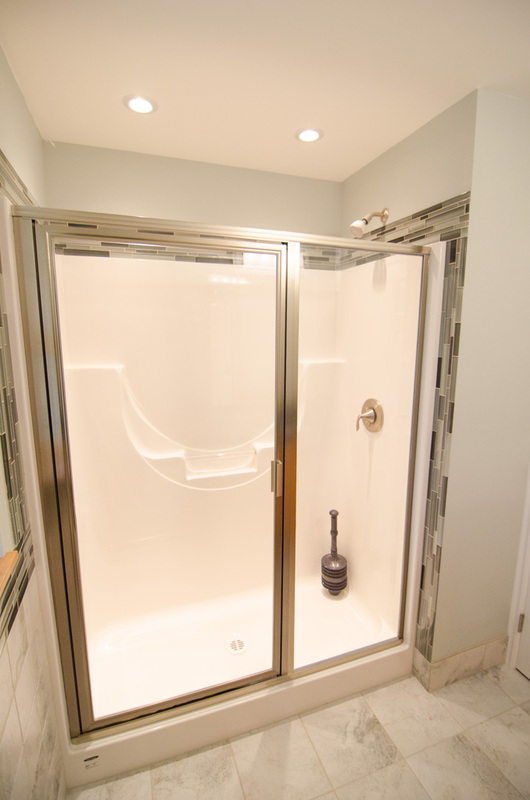 View of shower stall and faucet and shower head.